← Laura Brookhart’s Mixed Media Make a Visit to Riverchase Loves Artists Art Show Worth Your Time! 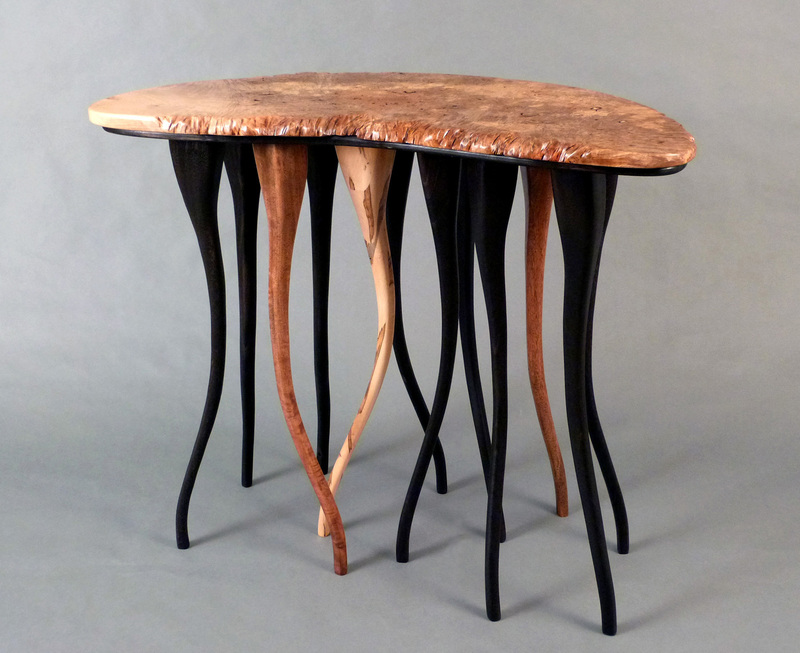 As an avid hiker since his early teens, Bill Palmer has developed a keen appreciation for natural forms and materials. He began studying art at Notre Dame high school in New Jersey. He minored in art at the University of Northern Colorado, where a painting instructor told him he had a “semi-rare ability to switch back and forth between abstract and realism”. There he experimented with different art media, but was most interested in sculpture and design. After moving to Alabama in 1979, he began a design/build landscape firm, where he was able to put his art education and appreciation for nature to good use designing and installing new landscapes. 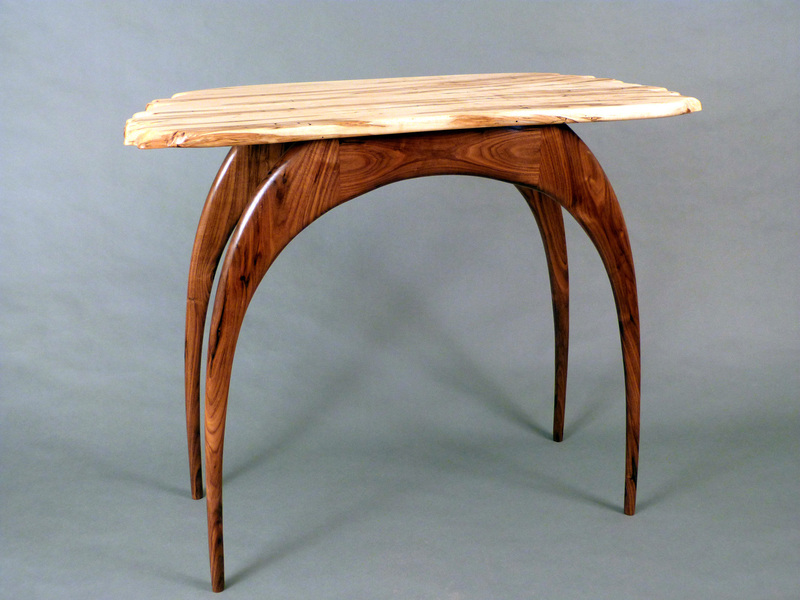 In his late 30’s, he discovered woodworking. Through self-study and practice, he progressed, in his spare time, to designing and building one-of-a-kind studio furniture. 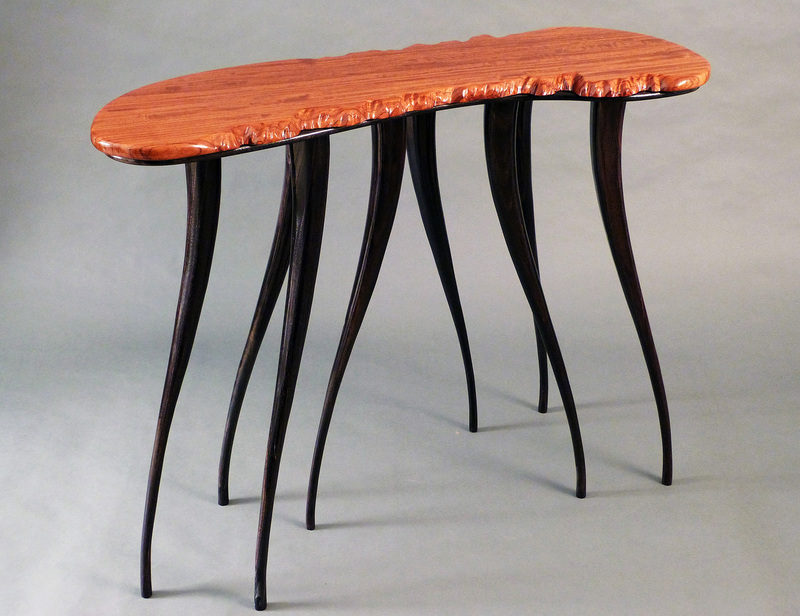 His constant observations of ‘random patterns’ in nature are reflected in his use of clean, curving lines in his furniture, sculptures and wall art. After nine years learning his craft, he began exhibiting at juried art shows throughout Alabama and neighboring states. His work was awarded 2nd Place at the Montgomery Museum of Art, his first show. After three years exhibiting and selling his art part-time, he closed his landscape business in 2007 to became a full-time exhibiting artist. 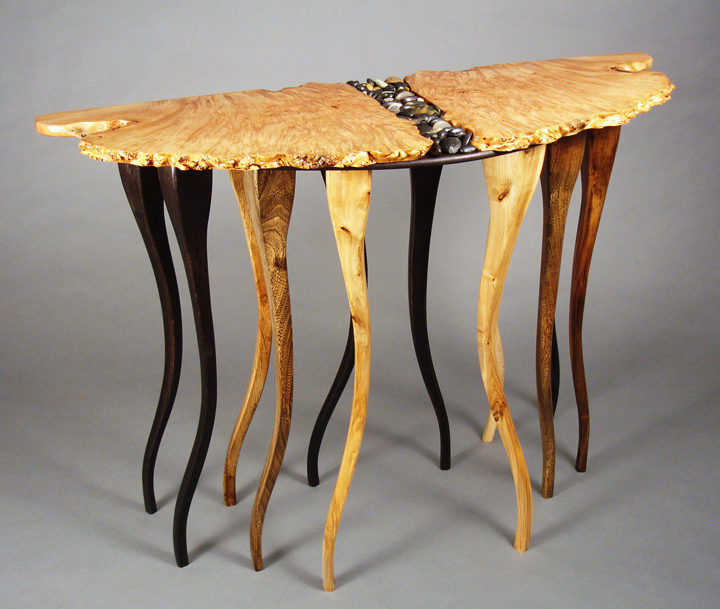 He was awarded the 2009 Artist Fellowship Award by the Alabama State Council on the Arts. 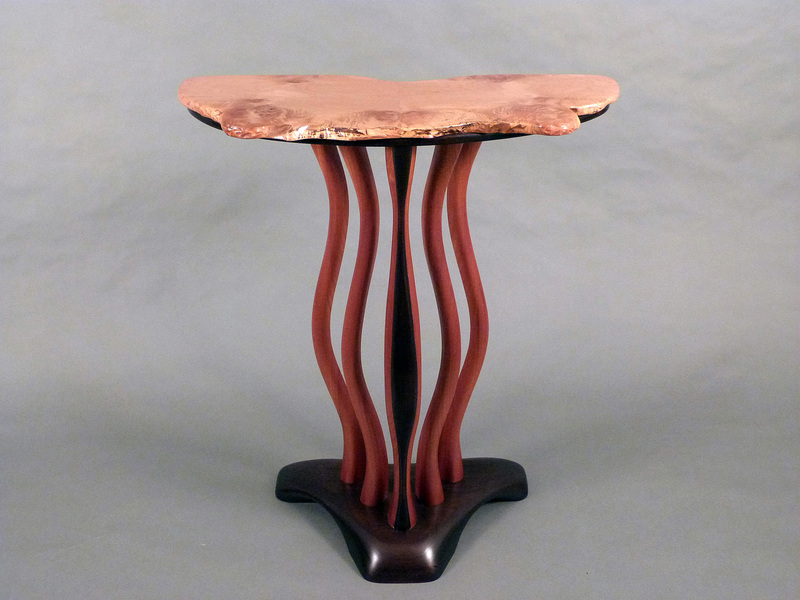 In January, 2011, his work was accepted for exhibit and sale on ArtfulHome.com by Michael Monroe, the former curator for The Smithsonian Institute’s Renwick Gallery. His work was also included in the 2011 exhibit, “Celebrating Contemporary Arts in Alabama” at the Johnson Center for the Arts in Troy, followed by a two month exhibit at the Alabama State Council on the Arts’ gallery in the state capital of Montgomery. Bill’s work is now recognized throughout the south and Midwest as well as Texas, Florida and the Chicago area. 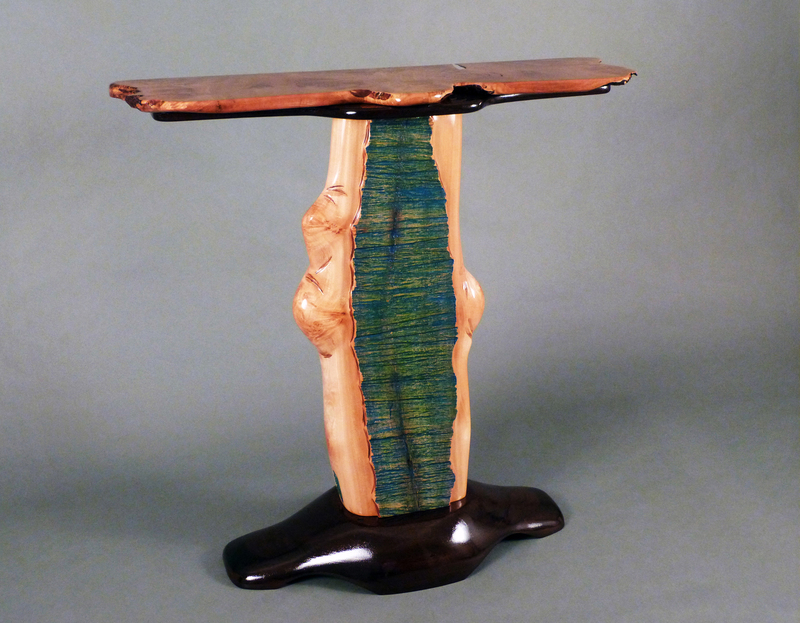 He participates in 15-20 juried art shows a year.